"Gravy Train or Train Wreck? Which Leadership Train Are You On?" 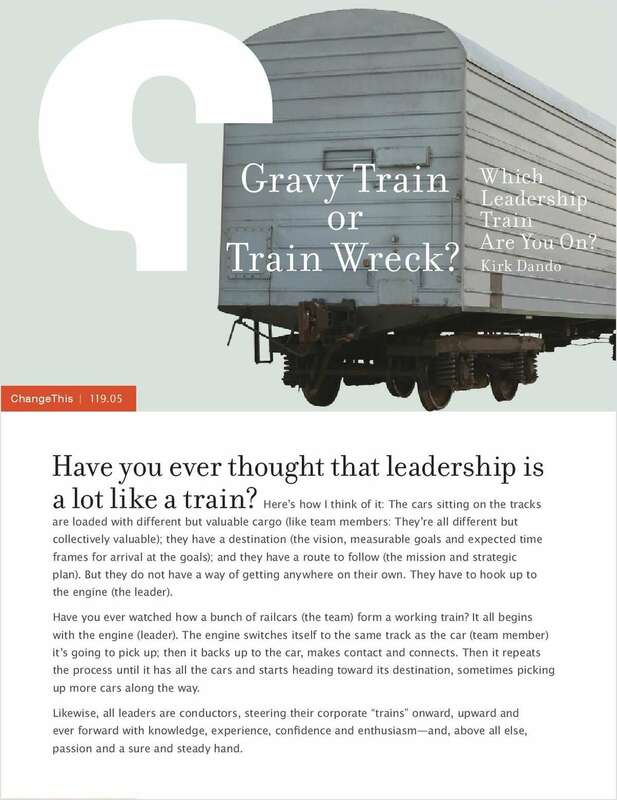 Free eBook: "Gravy Train or Train Wreck? Which Leadership Train Are You On?" If a team is a train, the leader is the conductor. So, given that you’re the conductor guiding your company around the next series of blind corners, exactly what kind of train are you running? By submitting this content request, I have legitimate interest in the content and agree that Kirk Dando, their partners, and the creators of any other content I have selected may contact me regarding news, products, and services that may be of interest to me.